Learning times tables off by heart makes mental maths much easier. It will boost your child’s confidence in their maths lessons at school, but it’s also a skill they’ll use all the time in the world outside school. 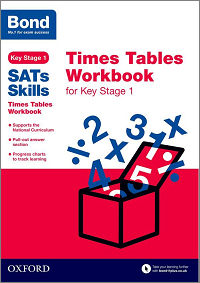 Here, we've pulled together key information about how times tables are taught at primary school along with our pick of activities to help make learning times tables fun for your child. Why is it important for my child to know the times tables? When children know their times tables, mental arithmetic becomes easier. Practising times tables also helps children to understand number and number relationships, and to see patterns in numbers. These skills will help them to master key concepts and move quickly through more complex maths problems with confidence. 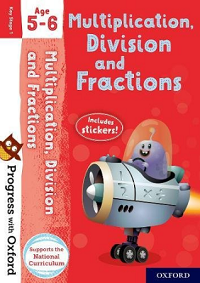 A thorough knowledge of multiplication and division facts will help children succeed in their tests at the end of primary school and set them up for success at secondary school. As they grow older, knowing the times tables will help them with everyday activities like shopping, budgeting and cooking. 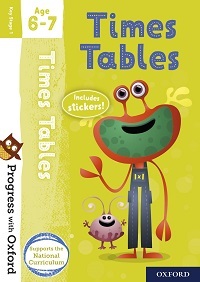 When does my child need to know their times tables? Year 1: count in multiples of 2, 5 and 10. Year 2: be able to remember and use multiplication and division facts for the 2, 5 and 10 multiplication tables, including recognising odd and even numbers. Year 3: be able to remember and use multiplication and division facts for the 3, 4 and 8 multiplication tables, including recognising odd and even numbers. 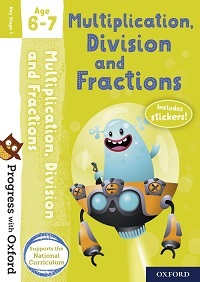 Year 4: be able to remember and use multiplication and division facts for the multiplication tables up to 12 x 12. 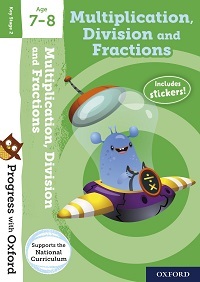 Year 5: revision of all multiplication and division facts for the multiplication tables up to 12 x 12. Year 6: revision of all multiplication and division facts for the multiplication tables up to 12 x 12. How are times tables taught at school? 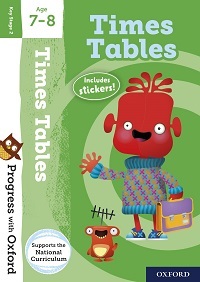 Download our free booklet Times Tables in School to learn how children are first taught to use their fingers, counters and paper to help them find the right number before moving on to reciting times tables. The booklet includes lots of tips and games to support learning at home, too. In June 2019, a new Year 4 multiplication tables check will be trialled across the UK, becoming statutory in 2020. 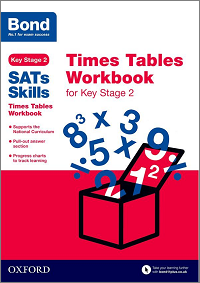 If your school decides to take part in the 2019 voluntary trial, your child will need to take a short online test to make sure their times tables knowledge is at the expected level. You'll find more information about this test over on the blog. 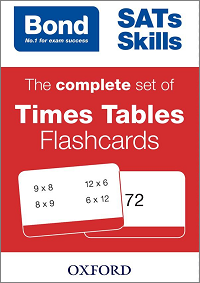 How can I help my child learn their times tables at home? We've pulled together some tips and tricks to help you make learning times tables at home fun. Our quick times tables quizzes are designed to help your child practice for the Year 4 multiplication check, while our activity sheets can be downloaded and used to consolidate their knowledge of multiplication and division facts.